Susan is featured in a number of issues of Belle Armoire Jewelry in 2017 and 2018. Susan Ray is author of Beaded Jewelry: The Complete Guide, Organic Beaded Jewelry, Art and Soul of Glass Beads, Wire Jewelry Workshop and best seller: Easy Beaded Jewelry (co-authored with Sue Wilke). 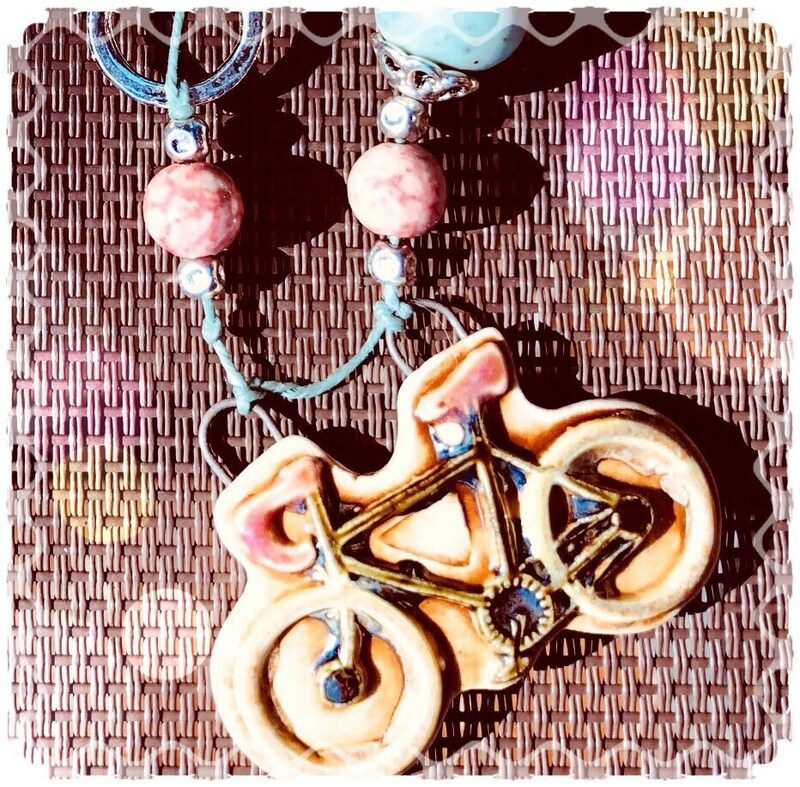 This necklace is similar to the two that appeared in the Winter, 2018 issue of Belle Armoire Jewelry- It features a ceramic bicycle pendant by Majoyoal and a ceramic leaf pendant by ScorchedEarthOnEtsy. 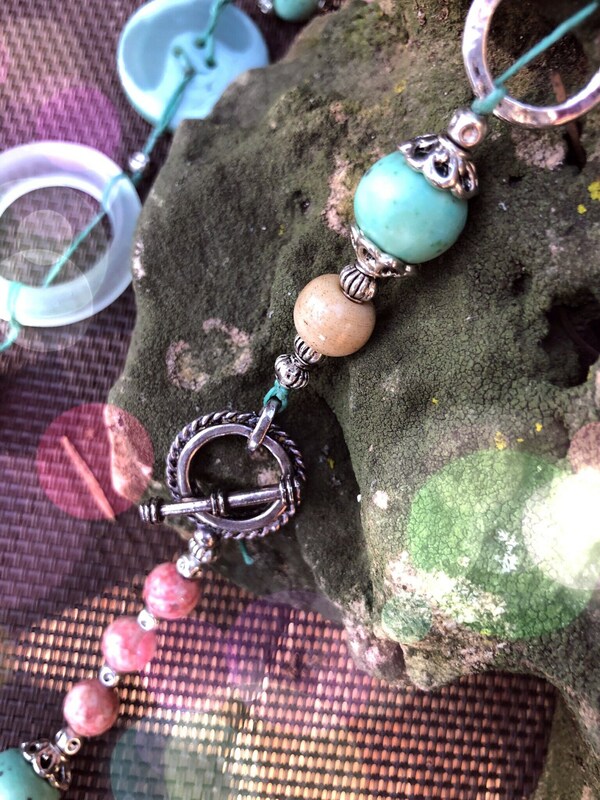 It is flanked by a ruckus set of beads and baubles and has a front closure toggle clasp. 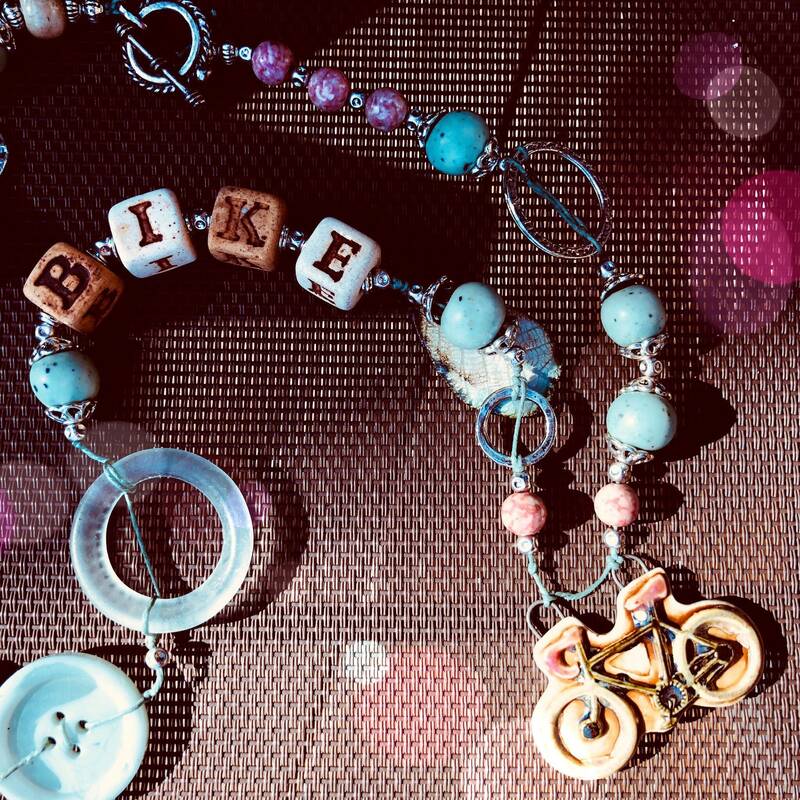 Ceramic letters spell out BIKE followed by ceramic robin egg blue beads with bell-caps, silver tone circles, button and lucite hoop all tied together with turquoise waxed cording. 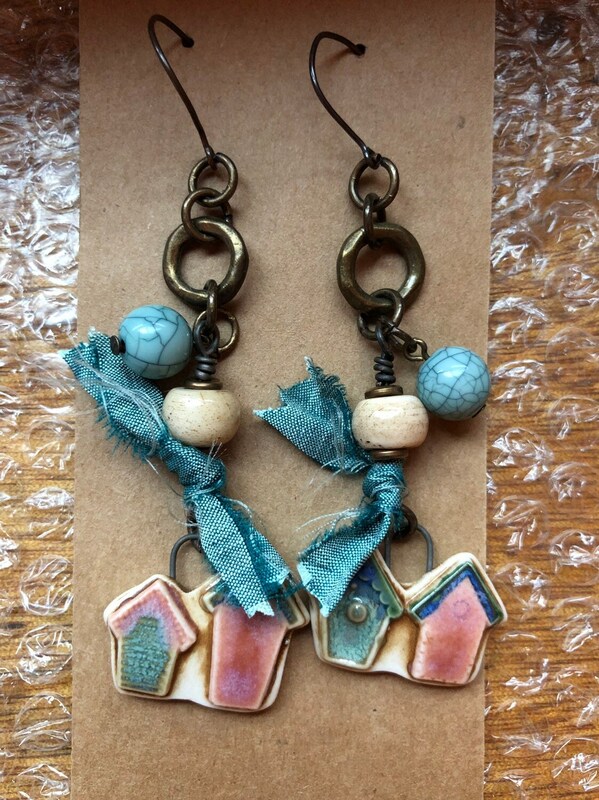 It comes with the matching earrings in the photographs. 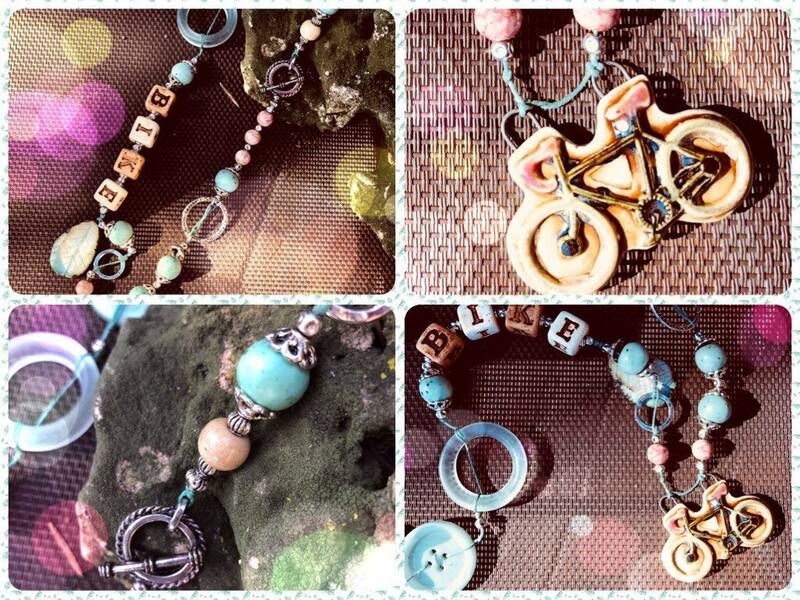 "My love of beads began 17 years ago. I am fascinated by the human story they tell, the nature of the beads, the hands that created and traded them. 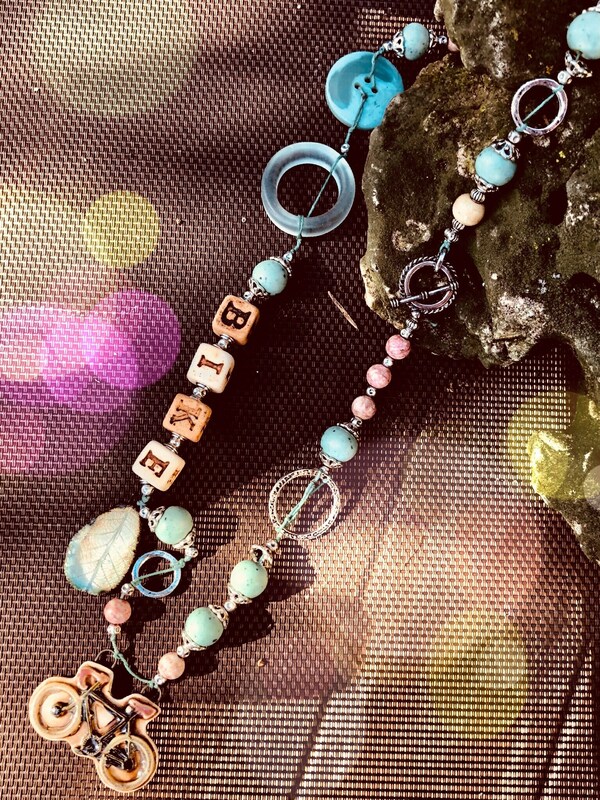 This has led me from my early discovery of the vast history of beads and the opportunity to learn the skills required to create beautiful jewelry myself. I later opened the first bead store in Galena, Illinois and taught more than 20,000 women (and a few men) to bead. 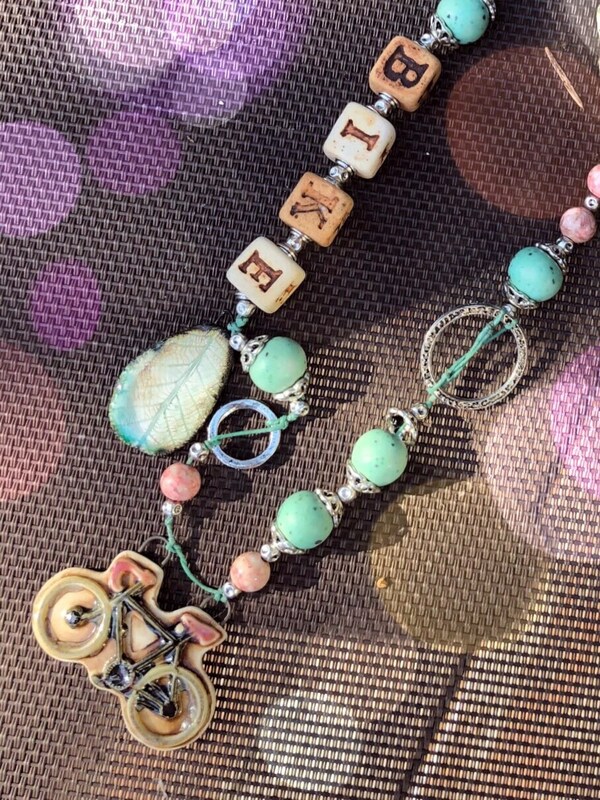 4 1/4” long including dangles. Sorry, we do not accept returns or give refunds on jewelry purchases.